Diamond Valley Custom Homes is very pleased to announce that we were a Winner at the 1st annual BILD Alberta Awards presented by The Alberta New Home Warranty Program! BILD Alberta hosted it’s Fall Conference from September 13-16, 2018 at the scenic Fairmont Jasper Park Lodge. 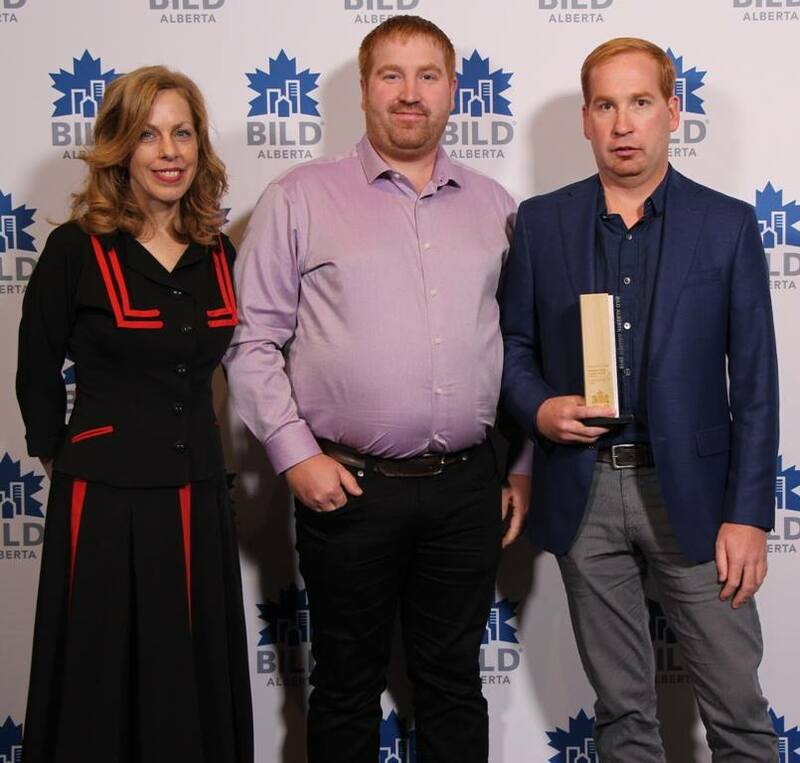 We are very proud to have won the Award for “Renovator’s Choice” sponsored by Built Green Canada for our Rocky Mountain Oasis home, and honoured to be included among the great competitors. The BILD Alberta Awards are a culmination of innovative renovations, community development, new home construction and safety leadership in Alberta. Earlier this year, entries poured in from across the province and led to competition of show stopping renovations and homes. An astounding 470 submissions were judged by an industry panel and the association was thrilled to share the results. The Awards feature 31 individual categories and five prestigious Pinnacle Awards. The Pinnacle Awards were presented to the highest scoring developer, renovator, and home builders in the small-volume, large-volume and multi-family categories. BILD Alberta (Building Industry Land Development) is the unified voice for the land development, home building and renovation industry in Alberta. BILD Alberta represents over 1800 business members from 10 constituent associations committed to building communities throughout Alberta. Thank you to the communities of Calgary and Okotoks for all their support, our past clients, and especially our great team and trades whom strive for success on every home that we build!